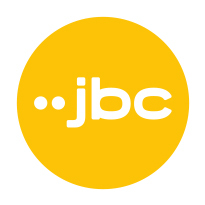 JBC Mode is a Belgian fashion retailer/e-tailer with approximately 200 shops in Belgium and Luxemburg. To align their logistics process with their business growth strategy, JBC Mode decided to automate and expand the process in their distribution center in Houthalen. System integrator Equinox MHE was contracted for the design and implementation of the project. The logistics process is controlled by an Equinox Warehouse Control System, integrated into JBC Mode’s host system. The wide oval split tray sorter sorts flat garments and fashion accessories, either packed in poly bags or unpacked. Trains of totes are automatically transported from the pre-sorter to the split tray sorter. Totes are evenly distributed over the 16 induction stations. Each induction zone has four induction stations equipped with scanners and screens. Trays are double tray type meaning that one tray can hold one large product or two smaller ones. Empty totes are placed beneath the sorter stations on an empty tote carousel. At the right destination, the tray opens and the product drops onto a metal plate that either tilt to the right or left and lets the product slide gently into a tote on the right or the left. Operators around the sorter push full totes onto the conveyor belt underneath, transporting the totes away from the sorter. Full totes arrive at the tote-turn unit and label applicator stations to receive a shipping label before they are transported to the shipping buffer and palletizing robot. A very important but less visible part of the JBC Mode turnkey project is the Warehouse Control System. This IT system controls all subsystems such as the flat and hang sorter, conveyors, buffers, and robot. JBC Mode’s host system provides distribution information to the WCS and the WCS reports back to the host system. 216 Store destinations including 27 destinations with dynamic allocation. 4 Induction zones with 4 induction stations each. Ready for smart tote distribution.